Robyn is a new mom devoted who's devoted to cooking nutritious, delicious, and clean treats for her family. I'm a total chocolate junky. Not the icky, sweet high-fructose variety, but really dark and dense, bitter chocolate. 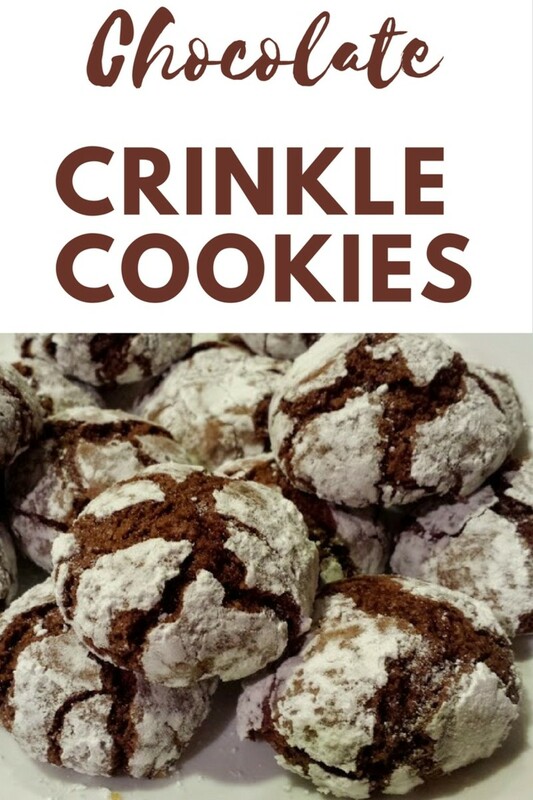 These chocolate crinkles tame my cravings. They freeze well for frozen summer treats or a few can be pulled out and defrosted at a time, when those cravings hit. 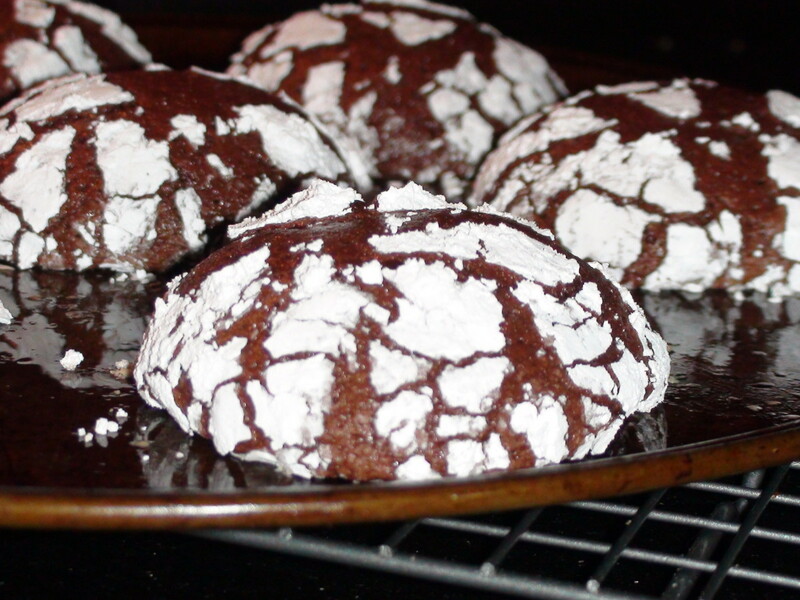 The better the quality of the chocolate, the chocolatier these cookies will turn out. I always use organic bitter chocolate bars—80% dark or higher. 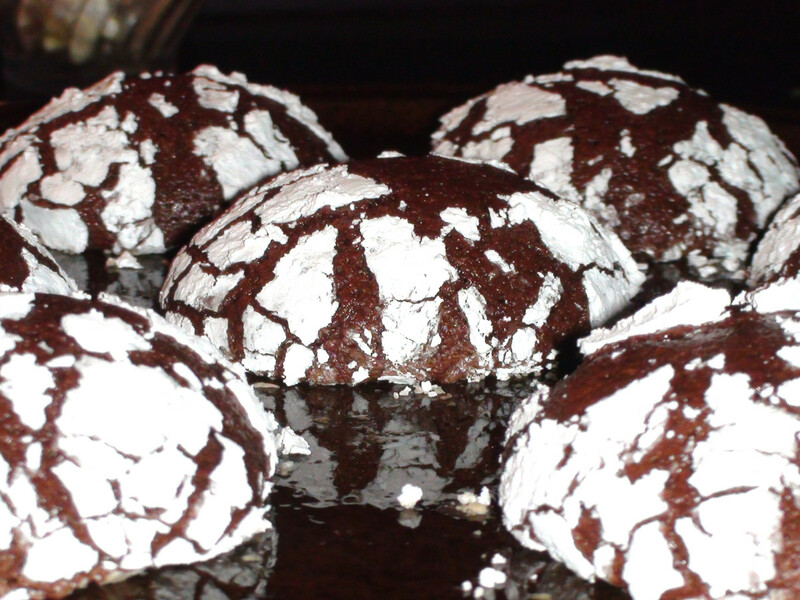 These cookies look beautiful on a platter, make a great gift, and are indulgent and delicious. Everyone always wants more! 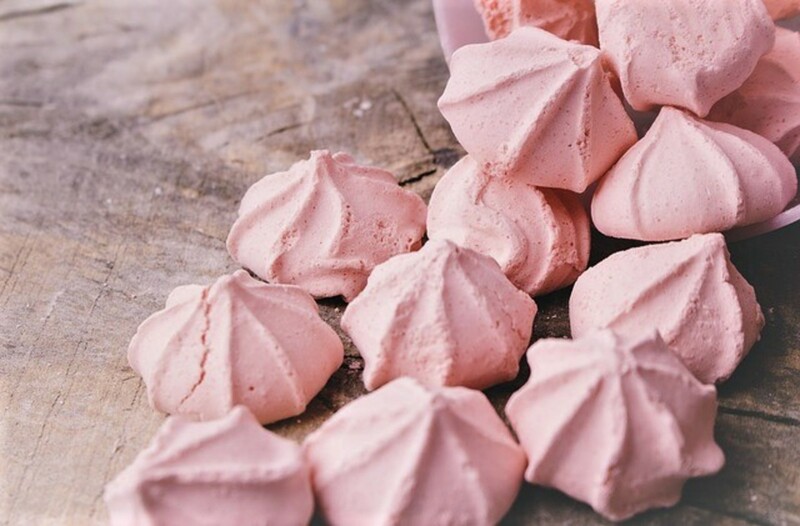 They do require a bit of work, but they're well worth getting your hands dirty for. Be warned that they aren’t the type of cookie to eat hot out of the oven. They need to cool completely before serving. I try to eat organic foods free from any genetic modification. Of course, use any type of ingredients you desire. I believe there is very little real food available at most grocery stores. 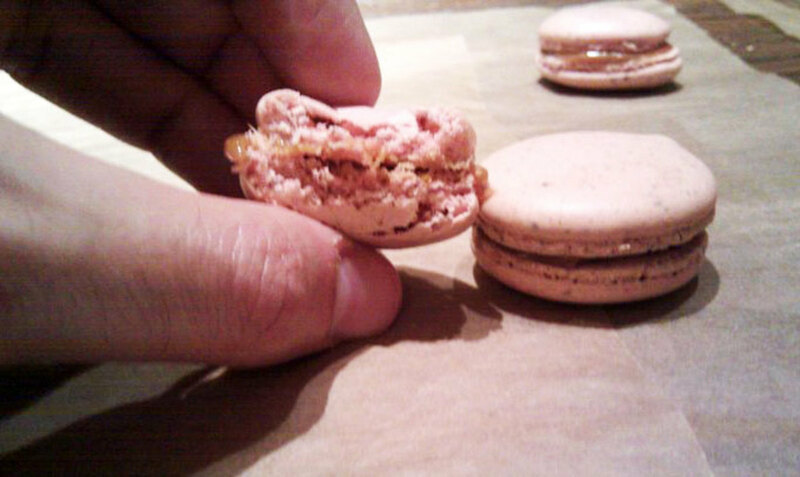 I do my best to write recipes that use real ingredients—nothing processed or modified. When purchasing your sugar, look for organic, raw sugar cane. I often use the turbinado varieties as these are the least processed available. Melt butter and coconut oil over low/medium heat in a heavy saucepan. 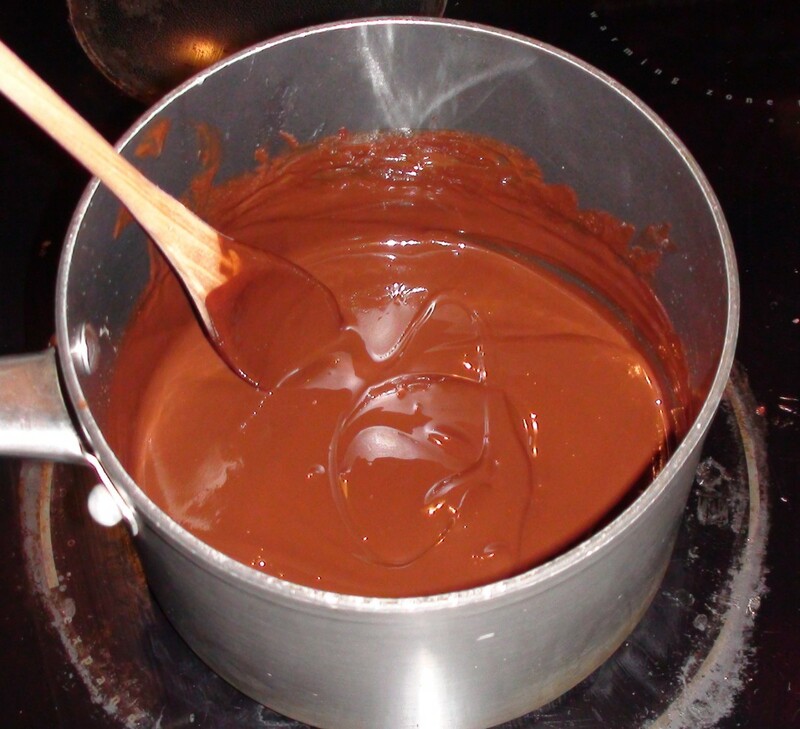 Once melted, add the chocolate and stir until all the chocolate is melted. This should only take a few minutes. Remove from heat immediately, and set aside 5 minutes to cool. 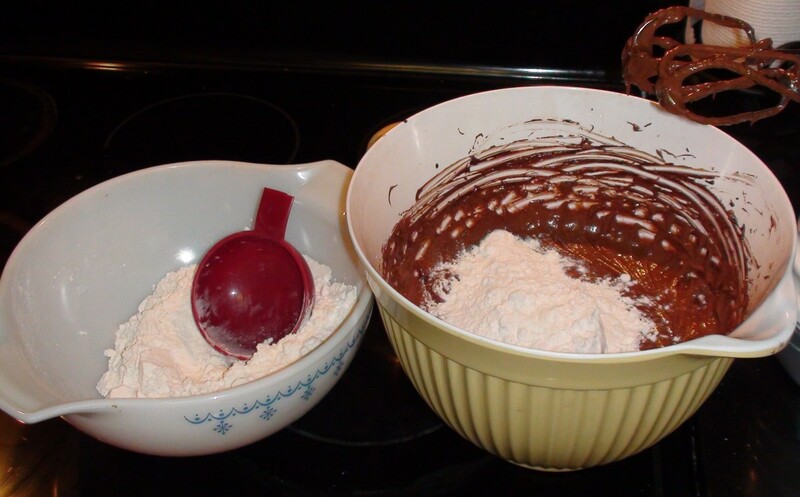 Mix flour, baking powder, cocoa powder, and salt together in a bowl. Set aside. In a separate bowl, beat eggs and sugar for about 2-3 minutes with an electric mixer. Your chocolate mixture should be cool enough by now. Give it a good stir. Slowly pour the chocolate mixture into the egg mixture. Pour slowly and mix vigorously, being careful not to cook the egg. Mix well with electric mixer. 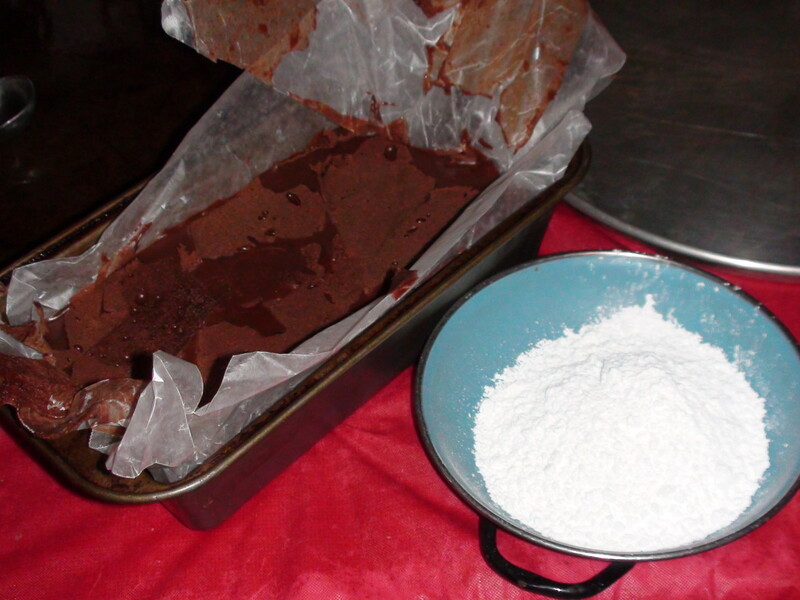 Add the flour mixture to the chocolate mixture, 1/3 at a time. Thoroughly combine ingredients but don't over-mix! 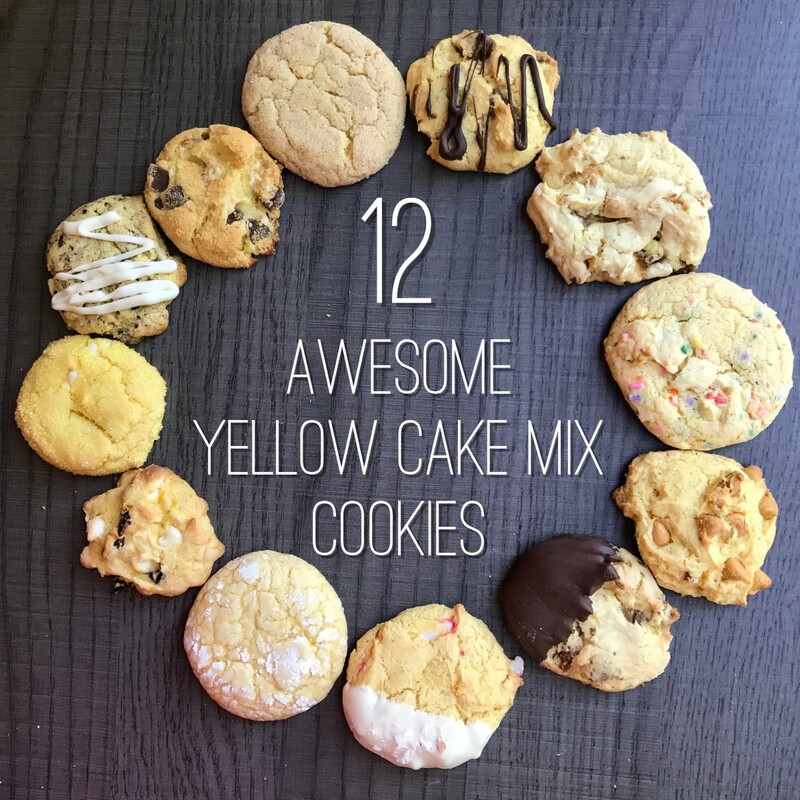 The consistency will be more similar to brownie or cake batter than to cookie dough. Cover your batter tightly with plastic wrap, and put in the fridge for at least 2 hours. Optional: I generally pour my batter into a bread pan lined with waxed paper for easy removal later. Once your dough has cooled and stiffened, preheat the oven to 350 degrees. Using a spoon, scoop out tablespoon-sized balls of dough. Roll them between your hands to form a ball about the size of a golf ball. 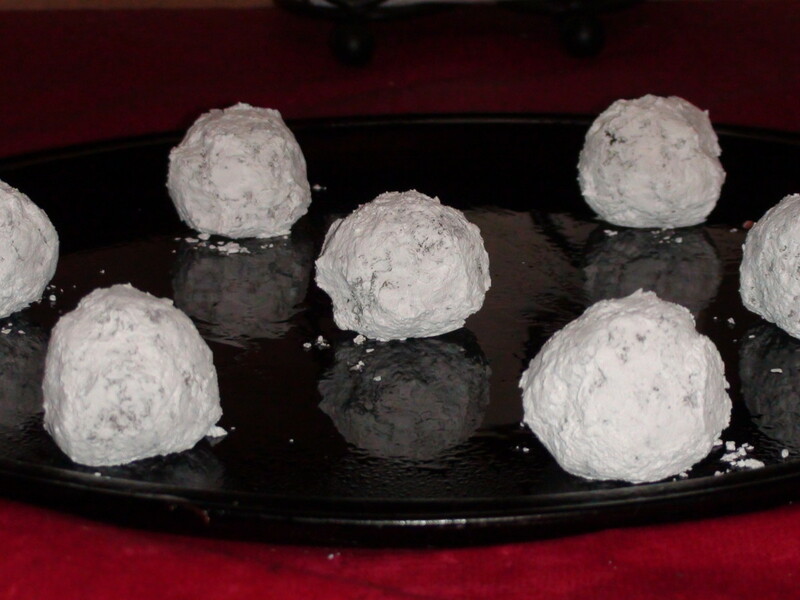 Roll the balls in powdered sugar, coating them heavily, and place on a greased cookie sheet. Bake for approximately 12-14 minutes, depending on the size of your dough balls. Leave on the cookie sheet for at least 5 minutes before transferring to a cooling rack. DO NOT OVERCOOK! When done, the cookies will rise beautifully but will still seem raw in the middle. The middle will be doughy and gooey. This is good! Let them cool COMPLETELY before enjoying them. Trust me, it's worth the wait. Step one: Gather your preferred ingredients. As I mentioned earlier, I prefer to get organic ingredients whenever I can. Here are some of the ingredients that I like to use. Organic Clover Eggs: I'm very particular about my ingredients. I always use organic, local eggs when possible. When I purchase from a store, Clover is a local California brand that I trust. 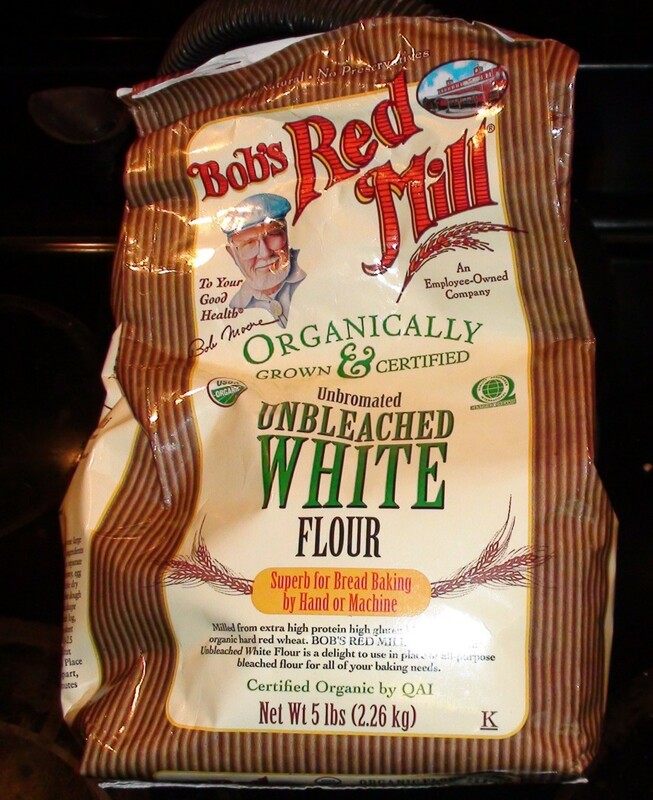 Bob's Red Mill Flour: There is some debate about whether Bob's Red Mill is GM-free. There is an even bigger debate if there is truly and "clean" wheat anymore, due to cross pollination. Step two: Melt chocolate, butter, and coconut oil together and mix. Step three: Slowly add the flour to avoid lumps. 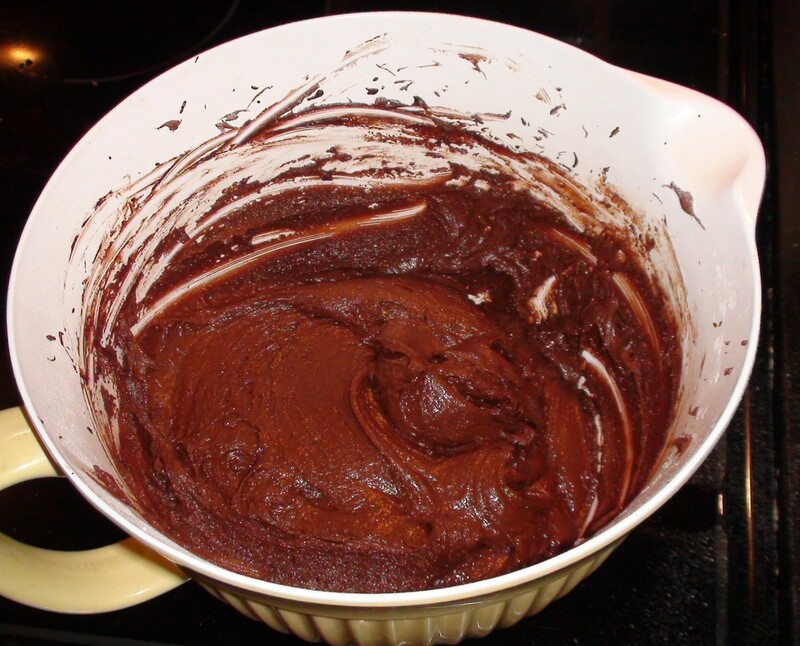 Step four: The finished dough is more like brownie batter than cookie dough. Once it cools in the fridge, it will thicken and harden. Step five: Take the cooled dough from the fridge. I like to chill mine in a wax-lined loaf pan so that it comes out easily. Step six: Roll the dough into balls, cover in powdered sugar, and place on greased cookie sheet. 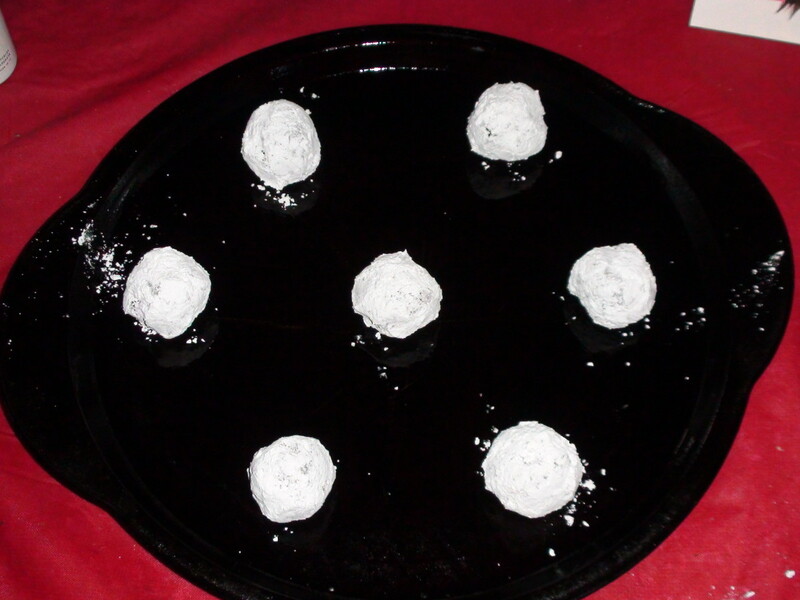 Step seven: Make sure to get plenty of powdered sugar on the golf-ball-sized balls. Leave them plenty of room on the cookie sheet to spread. Step eight: Be sure that you don't overcook them! They should be gooey in the middle. Cool completely before eating. 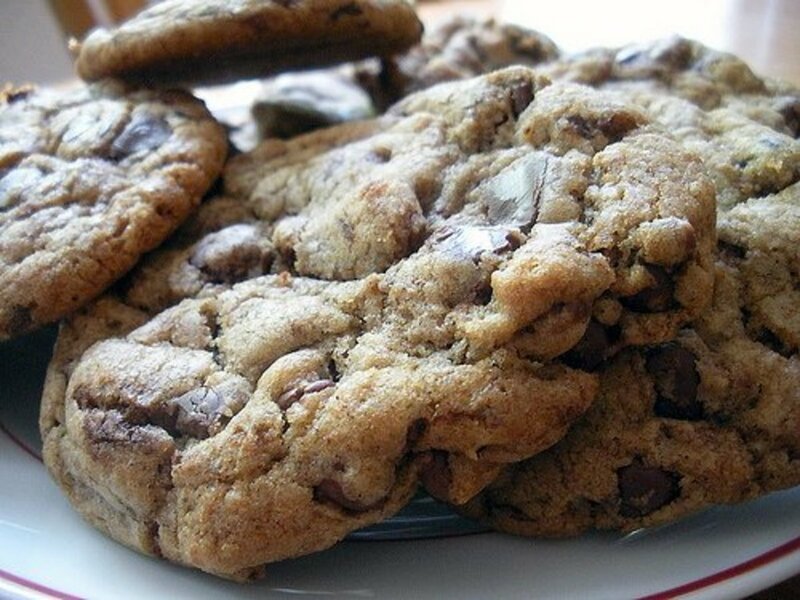 I usually just leave the cookies on the pan until the next batch comes out of the oven—about 10 minutes. 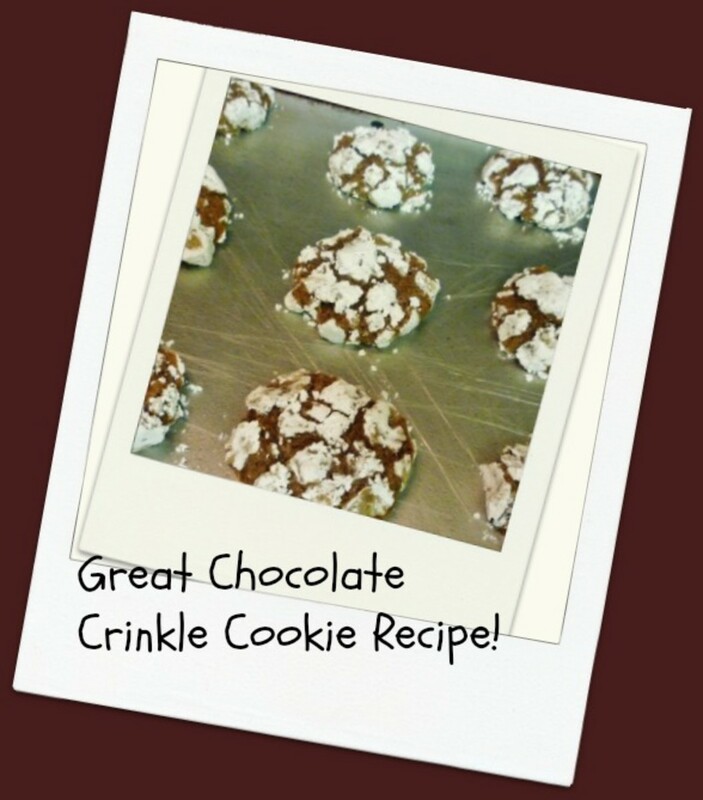 These beautiful cookies make great gifts! 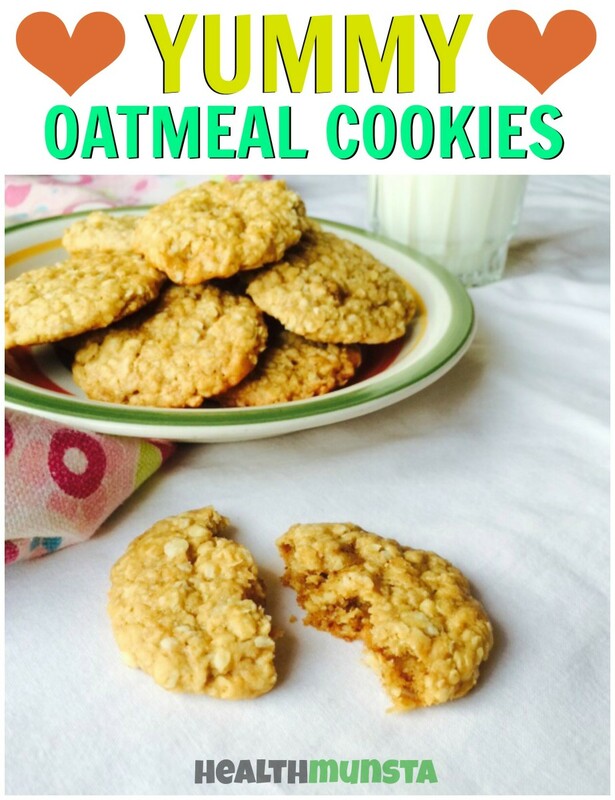 These look delicious and with ingredients that are much healthier. Thank you for sharing this! Voted up! 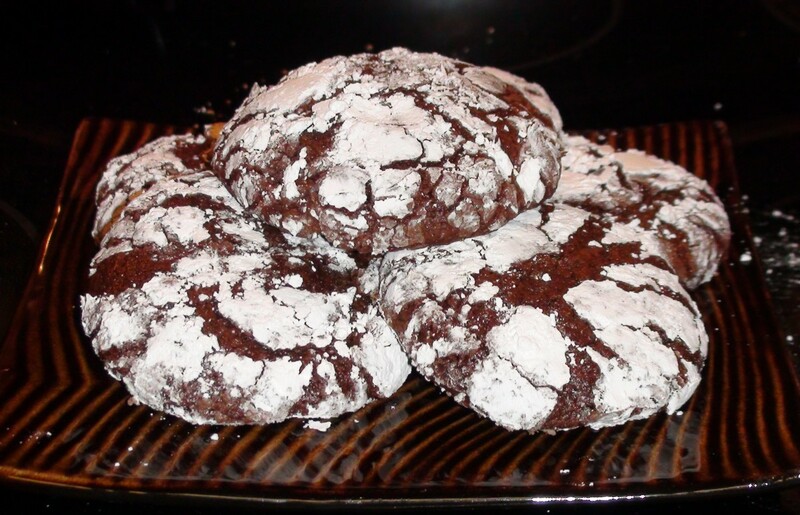 I love chocolate crinkle cookies! Thanks for the recipe. Thanks for the pin Tuttut! Heaven on a plate for sure. Let me know how they come out, enjoy! 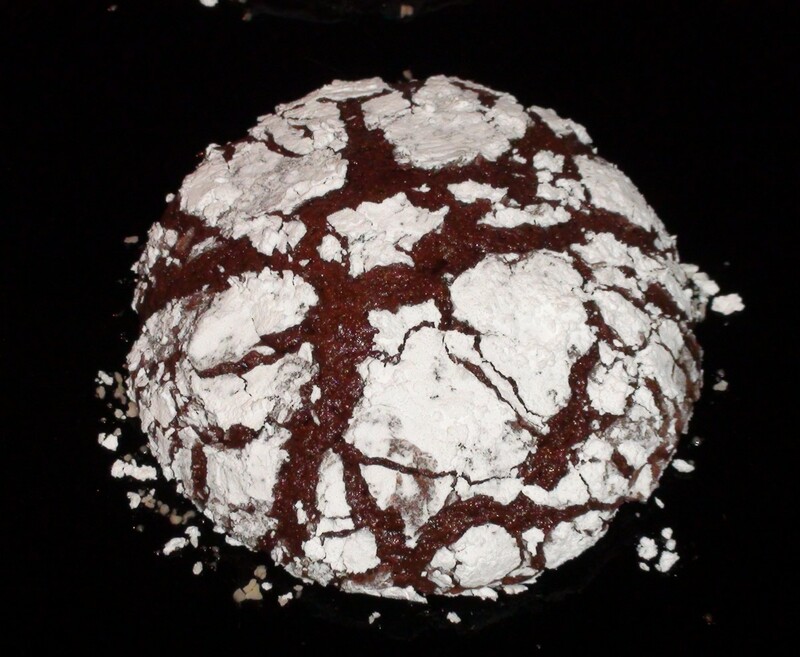 Hi, thanks for posting this recipe, I love dark, bitter chocolate and also coconut so this recipe sounds like heaven on a plate to me. Thanks EP! These are my absolute favorite cookies. I make a big ol' batch and throw them in the freezer. Thanks for stopping by! I'm going to have to print out your recipes. They look absolutely divine! Thanks for reading Efficient. I'm a chocolate girl too. You will love these! Happy eating! Wow this looks really good and easy too! I love me some chocolate so I would like to try this one. Bookmarking and voted up and across. Thanks for sharing. Thanks Chris! They truly are divine. Let me know how they come out! Oh my, those cookies look divine. I cant wait to try them! Well at least photos have less calories, lol. Thanks CookBook! Now what can i say, the pics are simply mouth watering. Wish i can taste them. Thanks for the delicious recipe.